"Anyway I scanned the card and airbrushed out my youthful signature -- it's a bit dog-eared, but still cool." 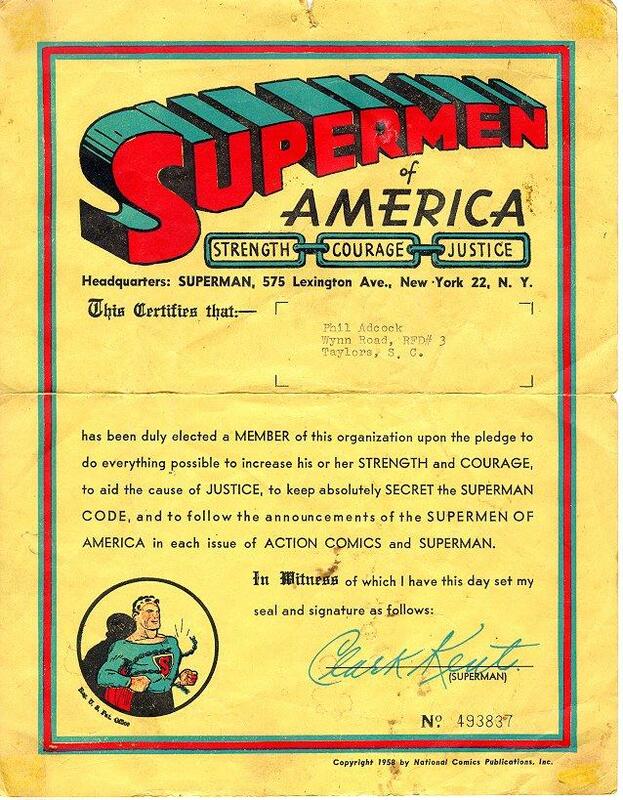 This Supermen of America certificate was contributed by Phil Adcock! 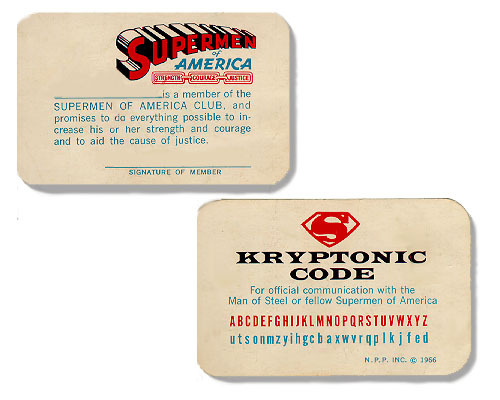 MORE SUPERMEN OF AMERICA GOODIES! Here's a version of the card suitable for printing. Merely print out the image below, fill in your name and signature, cut along the outer border, and then fold on the horizontal line. You can either tape the card shut or bring it to your local copy-center to be laminated. If you'd like it to be the same size as most credit cards, shrink it to 90 percent of the original size on a copy machine first.